Opel will have quite a busy year in 2017 as it gears up to reveal not two, not five but seven new vehicles to expand its portfolio. Many of these new vehicles will capitalize on the success that is the crossover utility vehicle, and what we have here could be a good look at what to expect. The 2017 Opel Grandland X will fill the brand’s currently empty space in the C-segment of CUVs and will be built in conjunction with the now-sour General Motors-PSA alliance. The Grandland X will also sit above the Crossland X, which will be a smaller CUV. Our digital mastermind at RM Design imagined the upcoming Opel crossover with the brand’s latest design motifs, which include a trapezoidal grille, angular headlamps and a “floating” roofline. Opel has also stated the Grandland X will offer “irresistible off-road appeal”, which is reflected in the stylish accents at the front and rear of the vehicle. However, don’t let the marketing jargon fool you, this will certainly not be an off-road machine. At the rear, a tucked bottom and chiseled lines help pave the way for the future of Opel design and build upon what we’ve seen from the Opel Mokka X and a pair of tail lamps akin to the Astra are present to keep the Grandland X all in the family. How’s it looking? Talk to us in the comment section and let us know if this rendering could be a positive direction forward for Opel’s future crossovers. Why is it so difficult to understand that Grandland X is NOT B-segment car? Crossland X is B-segment car and it will replace Meriva. Mokka X is SUV with 4×4 drive, and Crossland X is 4×2 car or CUV/Crossover. Both in B-segment. Grandland X is C-segment car (CUV/Crossover or compact class CUV/Crossover), and it is a twin of a Peugeot 3008 which is btw C (compact) -segment CUV. I’m aware the Grandland X will be a C-segment crossover, I mixed the classes up with the Crossland X. It’s been updated. Thanks for reading! The Graceland X has very attractive body lines. Guess it will probably be renamed for the American market? AWD? Turbo? We can hope. It’s it federalized. The PSA JV was supposed to be Euro specific. The vehicle is beautiful, on par with Audi. Opel is the best of GM. Nobody knows for sure, but I’d be mightily surprised if its federalised. Seemingly it’s largely a Peugeot project, will be assembled by PSA at their Sochaux plant and on that basis alone federalisation seems unlikely. Wonder though will it make it to Australia and New Zealand wearing a Holden badge? Am I the only one thought this looks like the real deal here? This car could challenge Cadillac in terms of design/looks. Styling competes head on with Audi, Benz and BMW. Opel can survive if it continues punching above it’s weight. Mark Adams is GMs best designer and should eventually play a role at Cadillac, as was once planned. This is strikingly handsome! By far one of the most authentic looking renderings GM Authority has come up with! Too bad the real model probably won’t look half this good! Will there be a Jungle Room edition? Seriously it is a nice looking car and screams Buick. Now if reality only follow suit. I get the feeling this Opel, Buick Holden deal may be a very productive line. Frankly, the exterior design looks sportier than the Chinese designed Envision which I think has better appeal to the American sense of design. Definitely would be a better fit than the Envision, but knowing GM they won’t want to encroach on the sales of that model seeing as it sales fairly well. Sharing a platform with the 3008 puts at at the 175″ length mark which sits directly between the Encore and Envision, making it a direct competitor to the new Jeep Compass and Hyundai Tucson. 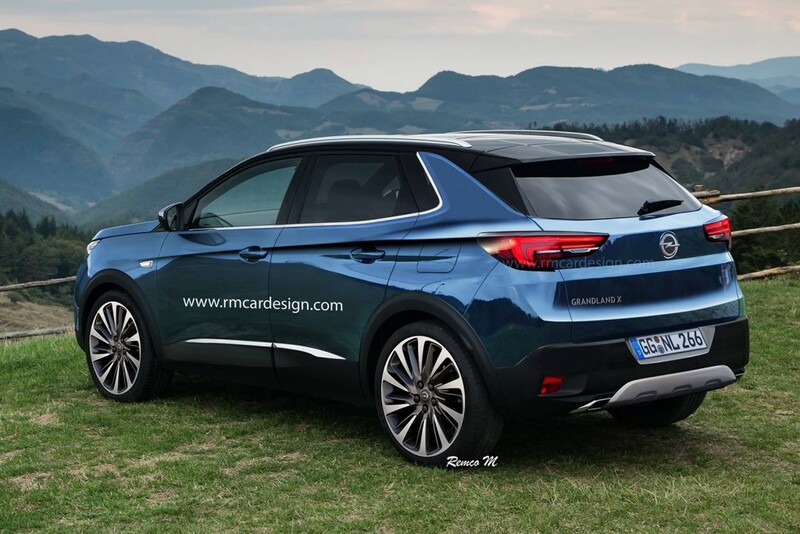 Buick could also challenge the premium subcompact segment with the GLA, X1, QX30, Q3, etc.